Turning 16 is such an incredible time! 16 is the age of first driver’s licenses and magical prom nights, of enjoying high school football games with friends and the excitement of college preparation. There’s so much to explore up ahead! If a special girl in your life is turning 16, think about ways to really mark the occasion. While a Sweet 16 party will make for plenty of memories, a keepsake that reminds her of this moment will be something she can treasure for many years to come. 1. 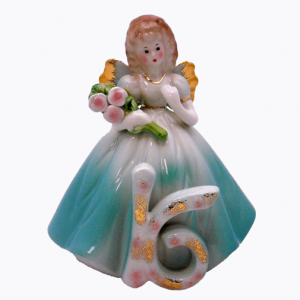 A 16th Birthday Josef Figurine: Something she can take with her to college or keep stored safely at home, this vintage-inspired collectible is beautifully crafted and created from an original design by artist Muriel Joseph George, who started the Josef Originals in 1945. Each Josef birthday figurine is carefully constructed with ceramics and 24K gold paint. A true keepsake! 2. A Personalized Scrapbook: Building a scrapbook can be such a fun activity and one that documents her first 16 years is sure to dazzle. She’ll look back on the memories and make more of her own in a scrapbook that includes pictures and mementos from birth to 16, with plenty of extra pages to fill with time! 3. A DaVinci Beads Bracelet: Able to be personalized with charms to match her hobbies and interests, a DaVinci beads bracelet is something she can enjoy and add to with each passing year. Just make sure to start her off with a DaVinci Beads Sweet 16 Charm! From DaVinci Beads to Josef birthday figurines, Coppin’s Hallmark Shop will help you celebrate in style. 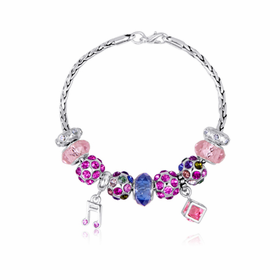 Charm bracelets make for a great gift for so many reasons. They’re unique, they’re easily personalized, and they’re incredibly thoughtful ways to show that you care. But shopping for charms for a charm bracelet can be a bit tricky. You want to make sure that you get the right charms to match your recipient’s interests and tastes. ● Consider Her Interests: Whether she’s a soccer superstar or an aspiring artist, there’s a charm out there for every hobby and every interest. Start off her bead and charm bracelet with a few charms that relate to the things she loves most. ● Mark the Occasion: Bead and charm bracelets can be used to commemorate special occasions, such as a big trip, a holiday, or a special birthday. Capture the moment with a charm that matches the theme of the occasion where she’ll receive this lovely gift. ● Give Her Room: Bead and charm bracelets should have room to grow with time as her interests change, so don’t fill the charm bracelet up too much. A few charms and colorful beads to start with (with plenty of room for additions) will do nicely. ● Play with Seasons: One of the greatest things about charm bracelets is that they can be assembled and reassembled with lots of different charms. Gift her with a few extra charms for the seasons that she can change and swap as she pleases! Ready to start building your special gift? Shop our selection of jewelry, complete with beads, charms, and more to build the most perfect of presents.